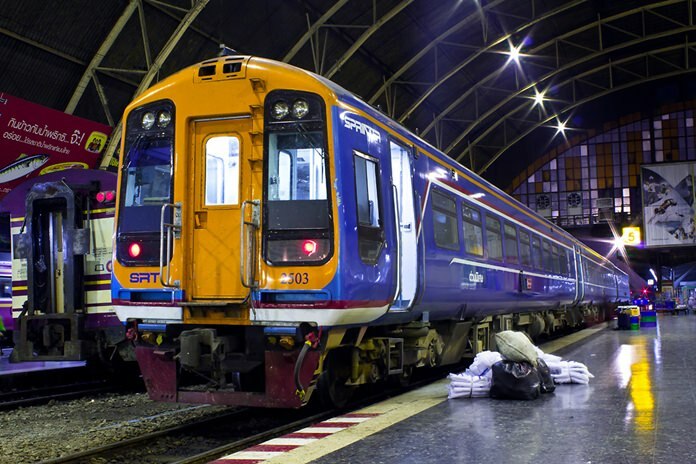 Bangkok – The State Railway of Thailand (SRT) will open the advance sales of train tickets on northern and northeastern routes from today (Dec 11) to accommodate more passengers during the New Year holiday. Acting SRT Governor Voravuth Mala said eight extra third-class trains will run on 28-29 December 2018, and 1-2 January 2019 on the northern and northeastern lines. Extra carriages will be added to regular ones to increase the passenger capacity by 8,000 persons or to accommodate a total of 100,000 passengers daily. Excursion trains on the routes between Bangkok and Suanson Pradipat, Bangkok and Sai Yok waterfall, and Bangkok and Pa Sak Jolasid dam, will be suspended during 29 December 2018 and 1 January 2019.